Awesome food in Hollywood cooked by, uh, ex-cons? 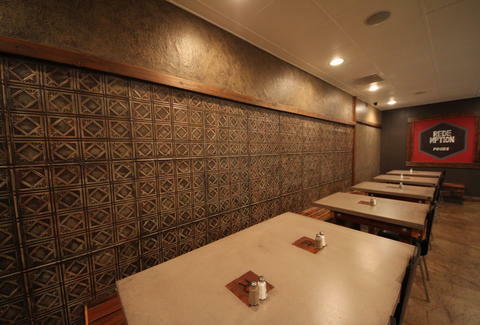 Tucked away in the back of a Hollywood mini-mall, Redemption Foods is a cafe space with concrete tables, tiled walls, and a fascinating twist: it's run by a non-profit that helps ex-cons enter the workforce when they get out of jail, meaning all the employees've done time in prison. 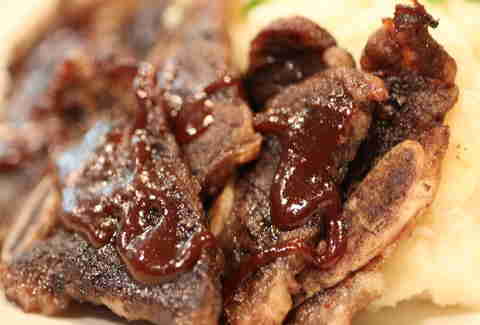 The menu's blackboarded daily, and includes stuff like roasted shrimp with polenta and tomato jam, and these Asian ribs with "garlic mash", or what Tony Dumas said whenever Jamal was all, "Hey Tony, bro, any idea how I ward off revenants if I'm trapped in my kitchen?". 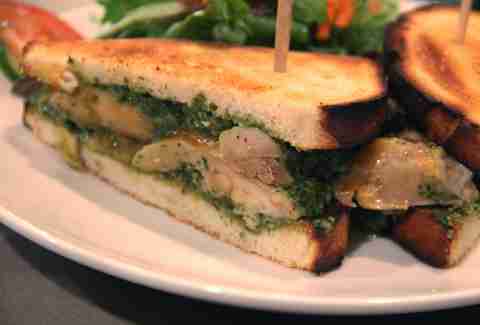 Lunch includes sandwiches like this toasted Thai-pesto curry-chicken dillio, as well as a corn-rye reuben, AKA the Kobe Stopper... Upper. 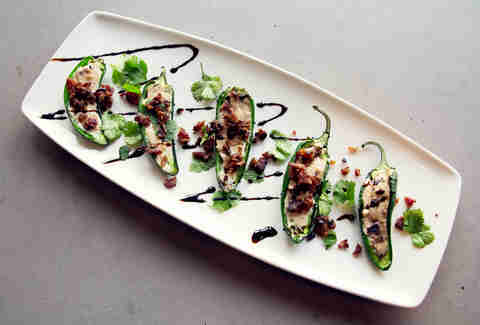 There're also a slew of crazy-tasty apps, like sauteed-garlic edamame and these bacon-wrapped jalapenos, which're stuffed w/ cream cheese, dates, and garlic -- who says those last two don't go together? 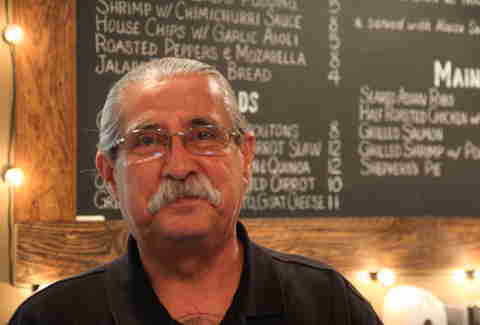 They'll all be served to you by dudes like this guy, Phillip, who was released in 2010 after doing 30 hard years, but's a shockingly friendly guy who'll tell you about the first time he used/saw a cell phone when he got out.